The College offers unique and extensive hands-on experience for all students. Working alongside professionals, you will be immersed in real-world settings producing news for the North Central Florida community or campaigns and strategy for regional and national brands. The Innovation News Center is a world-class facility where students report, edit and distribute stories through our radio, television and digital outlets. The Agency, an advertising team of seasoned professionals and hand-selected students with a passion for ideas that resonate with millennials, provides opportunities to work with paying clients on strategy, research, media relations, campaign development and more. 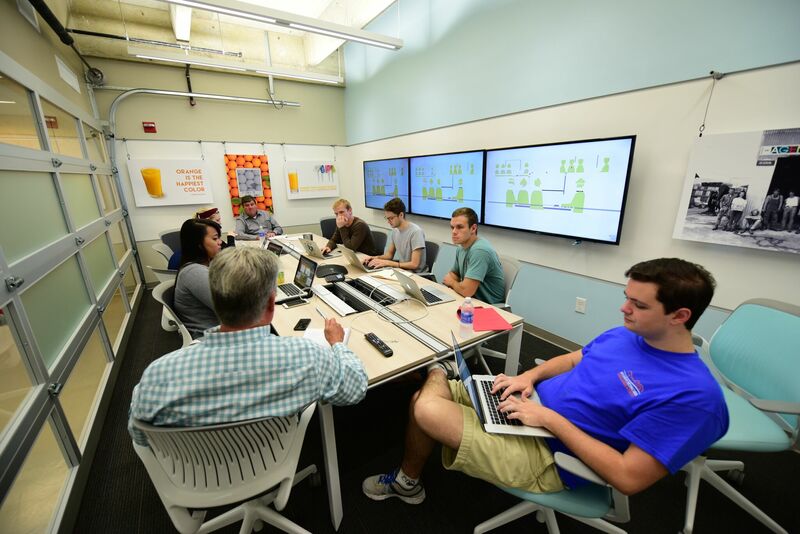 The College’s in-house content and product incubator is called Hatch, and uses the principles of human-centered design to conceptualize and launch projects that help define the future of media and information. In addition, student-run organizations like Alpha PRoductions, Orange and Blue magazine and The Student Body Web site as well as in-class advertising and public relations campaigns classes, offer hands-on experiences directly with audiences and clients.